Your wedding day is one of the best days of your life. What better way to celebrate your commitment and love than by choosing a ring that aligns with your personality and taste? If you love classic looks, then you will love yellow gold. 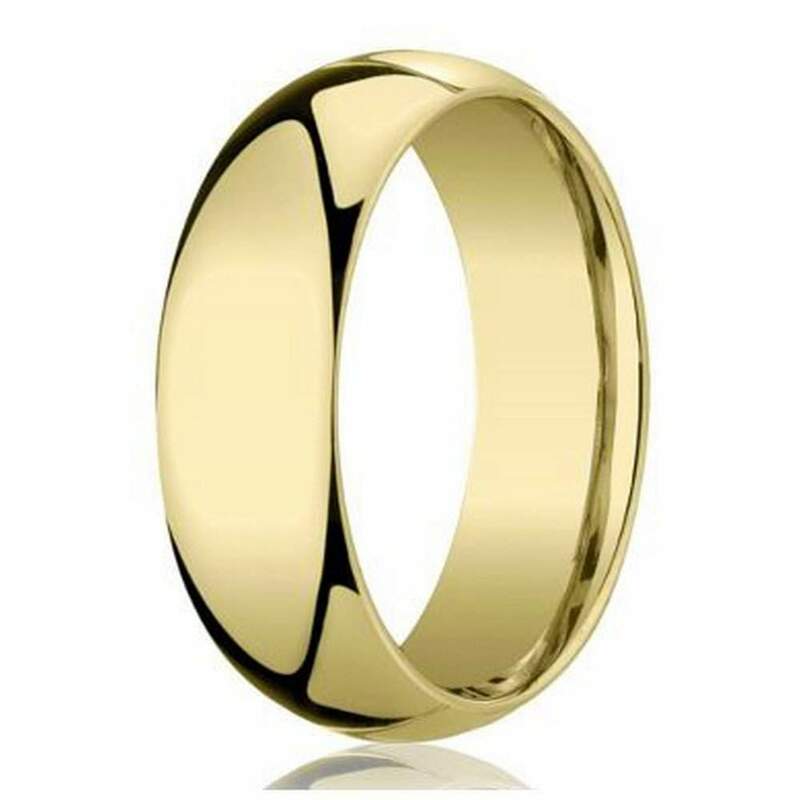 We are proud to introduce our men’s 5mm domed comfort fit 14k yellow gold wedding band, a ring for the traditional man. There are many different types of precious metals to choose from when it comes to your wedding bands. 14k yellow gold is popular for many reasons. First, 14k yellow gold is purer than 10k yellow gold and more affordable than 18k yellow gold. 14k yellow gold contains approximately 58.5% pure gold as well as other metals, such as silver and copper. This metal maintains its strength and does not tarnish, providing you with a less expensive alternative to choose from when shopping for your perfect wedding band. Second, yellow gold never falls out of style. When it comes to gold quality, it can be confusing to decide between varying karat compositions. Our men’s 5mm domed comfort fit 14k yellow gold wedding band contains slightly less nickel and may be more hypoallergenic than 10k yellow gold wedding band options.